World Food Day is an international annual event that is celebrated globally on the 16th October. The Western Cape Department of Agriculture, Casidra and various other organisations/companies joined hands and took the lead in the province to commemorate the day in the small rural town of Pella (next to Atlantis in the West Coast region) on the 23rd October 2015. Pella is one of the 15 development nodes in the Western Cape. The theme for 2015’s commemoration was “Social Protection and Agriculture: Breaking the cycle of rural poverty”. This event was well attended by more than 200 guests from the Departments of Education, Health, Water and Sanitation, Rural Development and Land Reform, and Social Development, as well as private companies, etc. 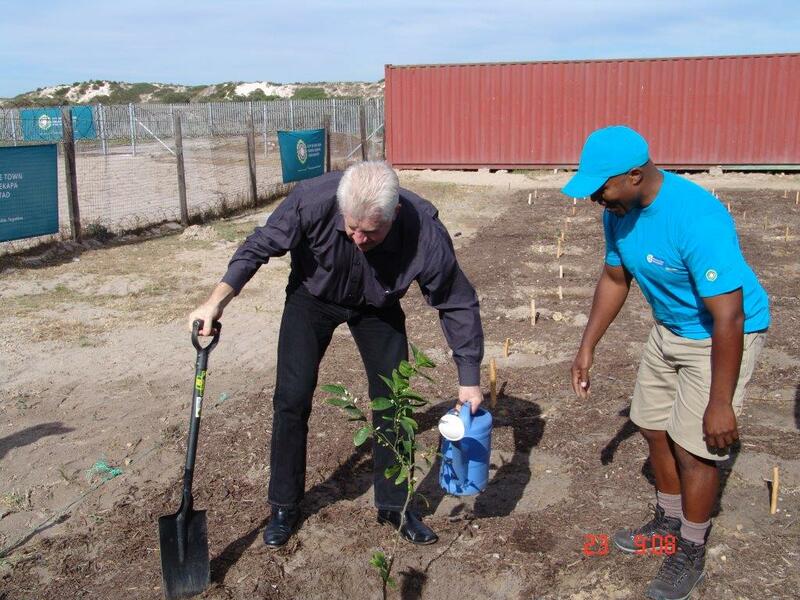 Amongst the guests was the Minister of Economic Opportunities, Alan Winde, who kicked off the eventful day by visiting various sustainable community food security projects. Minister Winde enjoyed the interaction with the community project beneficiaries who shared their daily challenges with him. The Minister and his delegation planted trees and expressed how impressed they are and their appreciation for what the community of Pella has achieved thus far by ensuring that they put bread on their tables. According to the United Nations, there are 795 million malnourished people in the world. The UN has identified economic growth and sustainable agriculture as key factors to reduce hunger. World Food Day seeks to highlight public awareness of the world food shortage and to strengthen solidarity in the struggle against hunger, malnutrition and poverty. In his keynote address, Minister Winde said, “South Africa’s malnourishment level remains close to five per cent and equipping residents with the skills they need to produce their own food is vital”. Minister Winde added that “Food security is an important focus matter for the Western Cape, which is why the Provincial Department of Agriculture supports household and food garden initiatives across the province. In this financial year, we have committed R12 million to a range of these projects.” He said that food gardens have larger economic potential. “We are looking at ways of increasing market access for these communal food gardens. There is a definite demand for high quality produce. We believe that sustainable economic benefits can be derived from these ventures,” said Minister Winde. In some cases, the food gardens supported by the Western Cape Government already supply small local markets from which they derive funding to replant their crops.